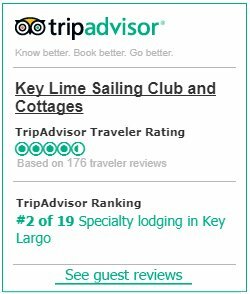 Morning Star Sailing Charters is the longest existing sail and snorkeling charters in the Florida Keys. Founded by Captain Rick Winters, Morning Star successfully operates in the Florida Keys providing unmatched ocean side snorkeling trips and sunset sail experiences to thousands of guests in the last 30 years. By going the extra mile, sailing aboard the 50’ yacht S/V Morning Star, six private guests per trip are able to explore some of the best snorkeling sites and coral reefs in the Florida Keys. 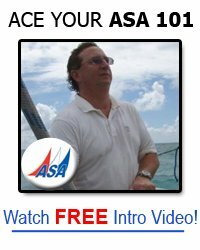 Captain Rick recently retired and sold Morning Star Sailing Charters to Paul Keever, the owner of Key Lime Sailing Club and Cottages, a small sailing resort in Key Largo, Florida, which also houses the American Sailing Academy, an ASA sailing school. Paul is expanding Morning Star services by adding several sailing vessels. The S/V Toby, a 36’ C&C racing/performance cruising vessel, S/V Karnack, a 33’ Morgan Out Island and a nice roomy cruiser, and S/V Endless Summer, a 47’ Lagoon ECO friendly all electric catamaran for bay and ocean side sailing snorkeling trips, sunset sails, and private rentals for qualified sailors on day trips or overnight trips of up to one week or more. Morning Star prides itself on limiting its passengers to 6 people maximum per trip. But you may rent/charter one of our sailing vessels yourself, or hire one of our captains, for what is called a Demised Bareboat Charter where you may accommodate up to 12 souls of your choosing on your chartered vessel. Paul is committed to keeping rates as affordable as possible. Sunset sails are still just $65 per person or $325 for a private cruise for up to 6 people. Full moon and snorkel sails are $75 per person or $390 for a private cruise for up to 6 people. Please call for prices on demised charters for up to 12 souls. Also offered are our bay side Catalina 22’s at just $250 per day for qualified sailors. These sailboats are easy to captain and easy to use around Buttonwood Sound, Manatee Bay, and the Florida Everglades. Float plans for our easy sailing 22’ Catalinas are Nest Key with a mud bath in the middle of the island. The Mangrove Jungle sailing/kayaking adventure is where you sail off, anchor your vessel, hop in the kayaks you towed with you then explore a maze of mangrove tunnel trails arriving at hidden lake, have your self-catered lunch and drinks, and kayak back to your sailboat. You don’t need to go back on the same trail. Please note and remember, we can teach you to sail these 22’ Catalinas on your own, with your mate, or with your family as a team in as little as two six–hour classes.